Mr Joe Robinson, a 25-year-old former soldier with the British army who served in Afghanistan, was sentenced to 7.5 years in prison in Turkey for fighting alongside the Kurdish forces against so-called Islamic State (ISIS) in Syria. 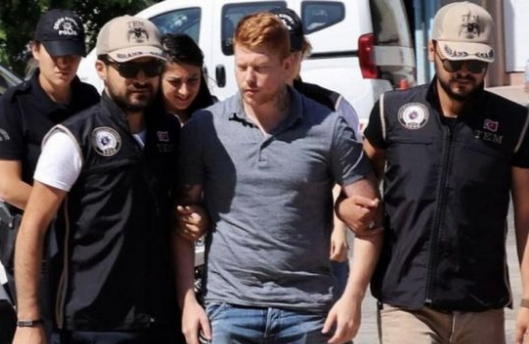 Turkish authorities, who arrested Mr Robinson during a 2017 holiday with his girlfriend at the Turkish Riviera, claim that he is a member of the Kurdish armed group the YPG, which the government of President Erdogan views as a terrorist group. Her son's fiancée Ms Mira Rojkan, who was arrested together with Mr Robinson, received a suspended sentence for "terrorism propaganda." Ms Rojkan said: "The court sentenced me for sharing Facebook posts with the Kurdish flag and links to Kurdish songs on YouTube. The situation is just so sad and ridiculous. It's beyond me how this can be happening." Mr Robinson was given a seven-and-a-half year sentence but remains on bail. He is planning an appeal against his conviction. A spokesperson for the British embassy in Istanbul stated: "We have been following this case very closely and have raised it with the Turkish authorities. We stand ready to provide further consular assistance." The US government is having to deal with a similar case where a pastor named Andrew Brunson, originally from North Carolina, is also accused of ‘terrorism’ for aiding with the 2015 military coup against the Erdogan government. In response to his continued house arrest, US President Donald Trump has imposed tariffs on certain Turkish imports. The UK government of Ms Theresa May has not reacted officially just yet. Of what value does Turkey have in the World? I almost think that North Korea ranks a bit higher in worth than Turkey. You racist fuknNeanderthals,us worthless caucs deserve death for stealing Muslims' land.